For many teams, the innovative solutions created through their FIRST LEGO League Project have led to some amazing opportunities, like receiving local and national media attention, meeting government leaders, and seeing their invention be brought to market. Each year, we induct 20 new Semi-Finalist teams into the Innovation Ambassadors, a group of FIRST LEGO League Global Innovation Award participants who work to keep innovation alive within their own communities. Innovation Ambassador teams are frequently featured on the FIRST LEGO League blog. Check out some of their stories here. How do I participate? Most regions nominate the top-ranked team(s) in the Innovative Solution Award category from their Championship event(s) to be their Global Innovation Award regional nominee. Some regions use an approved alternate process. A list of regions using the alternate process during the INTO ORBITSM season can be found here. 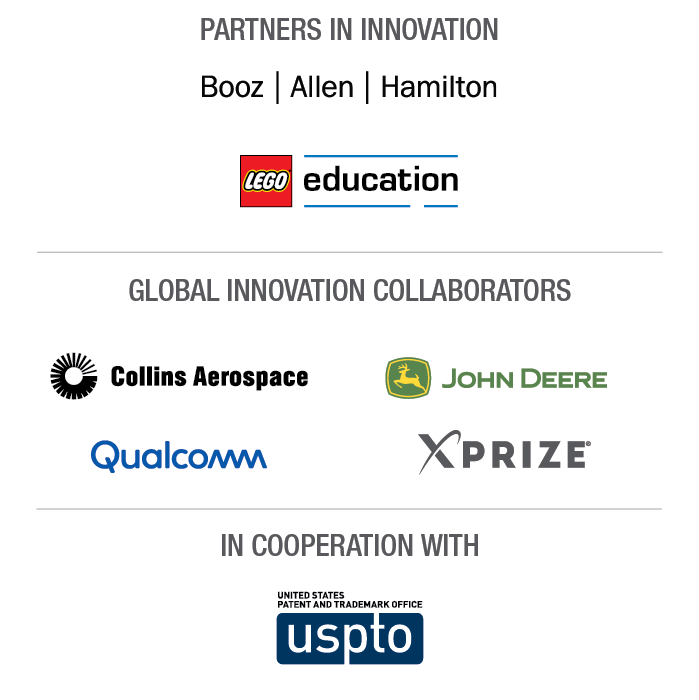 The 2019 INTO ORBIT Global Innovation Award will be held June 30 - July 2, 2019 in San Jose, CA, USA.